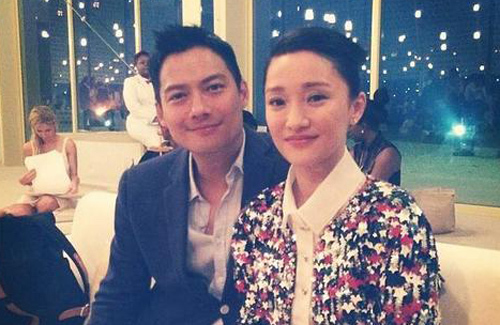 Wedding bells will be chiming loudly for Zhou Xun (周迅) and Archie Kao (高圣远) soon. Last month, Zhou Xun’s good friend, fellow Chinese actor Chen Kun (陈坤), accidentally slipped to the press that the celebrity couple were in the midst of wedding preparations. Chen Kun denied his slip of tongue at the time, but sources say that Zhou Xun and Archie are indeed going to get married soon. A source close to Zhou Xun revealed that the couple plan to register their marriage in Beijing at the end of the year. They will also host a wedding banquet overseas, but the exact date of their banquet has not been announced to the public yet. Parents of the two families have also been diligently working together for the wedding preparations. In addition, it has been said that Zhou Xun, who turns 40 next year, wants to get married as soon as possible so she can plan for a baby next year. Next week, Zhou Xun will perform at a charity event in Hangzhou. The event, which aims to bring awareness for children of special needs, is hosted by Zhou Xun Production Studios. Guests include Chen Kun, Han Geng (韩庚), Chris Lee (李宇春), Tong Dawei (佟大为), and more. The source said that Zhou Xun plans to announce her wedding after her performance. Archie will also be present at the event. Insiders also revealed that Zhou Xun has been turning down many film offers – including Painted Skin 3 <画皮3> and The Monkey King 2 <大闹天宫2> – so she can spend more time with Archie. Though Zhou Xun wants to start a family, she will not retire from the industry. Forty-four-year-old Archie, best known for his role Archie Johnson in the American television series CSI: Crime Scene Investigation, will focus his career in the mainland Chinese market. they are going to have one beautiful child!! Zhou Xun is ugly. Archie is hot. Archie is definitely better looking of the two. Then again perhaps he is more photogenic…? Don’t trust photo/s. .Seeing one in person is the best. …! Believe me speaking from experience…! This isn’t one of her best pictures. She looks adorable in her huge gallery of previous photos. Zhou is more talented and versatile.